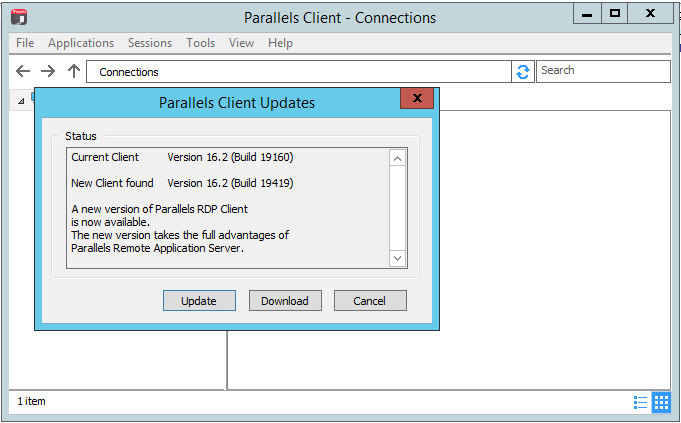 This article describes, how to enable "Checking for updates on startup" feature at Parallels Client via RAS Policies. 2. 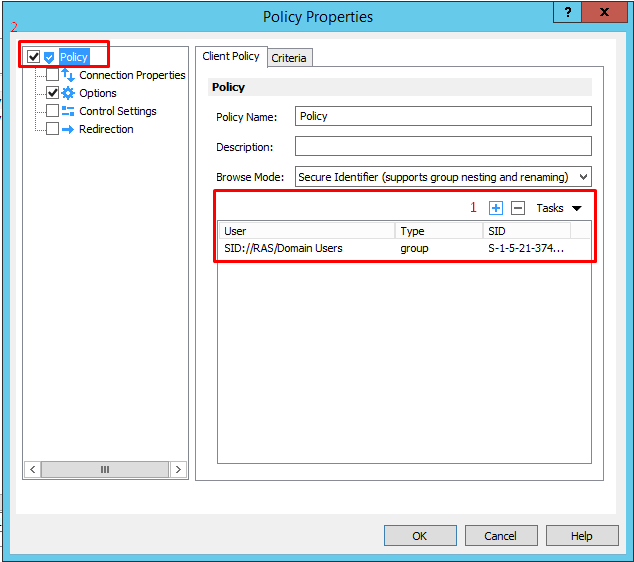 Select a user or users group in your Active Directory for whom this Policy will be applied. 3. Press OK button and close Policy Properties window. 4. 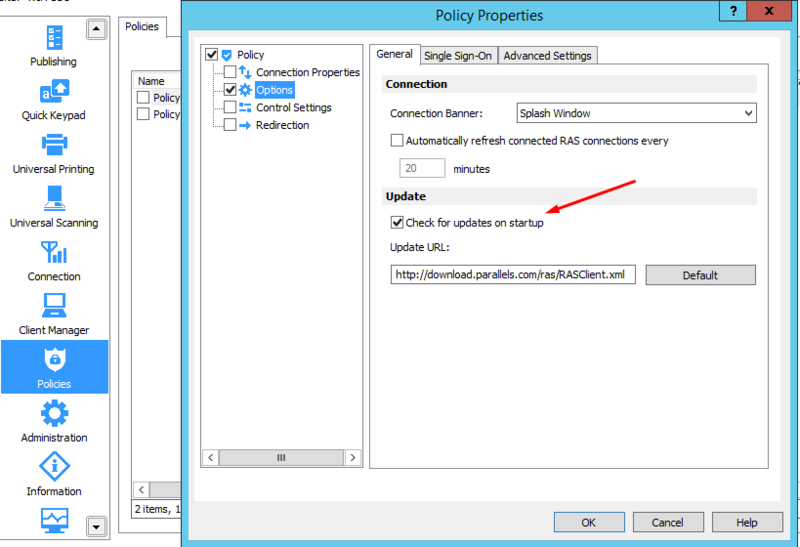 Policy will be applied on the next user's login and Parallels Client will check updates availability upon next launch. Should you need to force this, close Parallels Client via File > Exit and restart it.